Police Report: On Thursday, the Thane Police arrested a 40-year-old Man for allegedly poisoning his wife and for trying to kill their 2 kids, the man is reported to be from Badlapur. 40-year-old S Bhosle will face several sections of Indian Penal Codes like 302, 307, and 498-A. 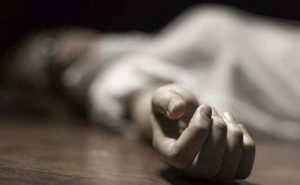 On Wednesday, a complaint was registered against the man at the Badlapur East Police Station, the complaint was registered by the father of the deceased wife. S Bhosle and his wife had been married for 9 years. Preliminary investigations revealed that 40-year-old S Bhosle used to beat up his wife a lot when she refused to give him money for liquor. Bhosle also owns a lot of money from a couple of people. The police said that S Bhosle gave a cold drink with rat poison to his 2 kids and his wife. The wife of Bhosle passed away inside the Hospital on Wednesday, the 2 kids are still being treated in the same hospital.